The Dunlop S-Gut 1.30mm tennis string set offers a good value for money enabling the player to use it for re-stringing one racket. This multi-filament string ensures an all-round playability and durability and has a gauge of 16 (1.30mm). The string consists of a compressed mono-filament central core, a mono-filament Dyna-Tec fibre coil and highly elastic twisted mono-filament outer wraps that ensure an excellent power. It also features a PU outer coating for enhanced durability. The string set is 12m (39.4ft) long. 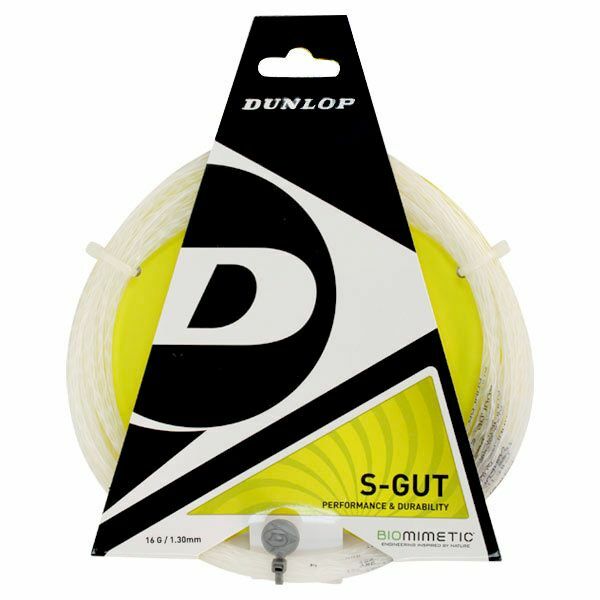 for submitting product information about Dunlop S-Gut 1.30mm Tennis String Set We aim to answer all questions within 2-3 days. for submitting product information about Dunlop S-Gut 1.30mm Tennis String Set. We aim to answer all questions within 2-3 days. If you provided your name and email address, we will email you as soon as the answer is published. 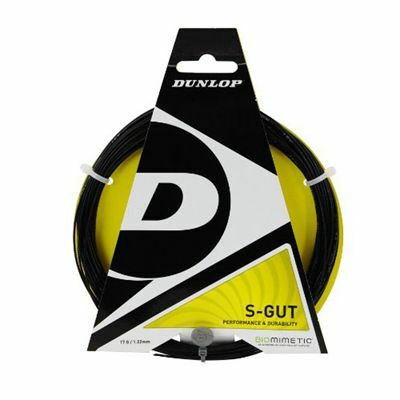 for submitting product review about Dunlop S-Gut 1.30mm Tennis String Set.